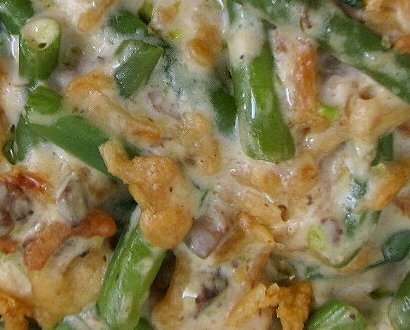 There's more to beans that a green bean casserole at Thanksgiving and Christmas. Beans are a superfood. Beans have about the same calories as meat, but there the similarity ends. Beans have higher fiber and water content, both of which add to a feeling of fullness. This means you can eat less and thereby cut calories. I do love hummus and white bean pâté for snacking. But one of my favorite foods contains both beans and meat and that's one of Peg's bean soups (they're never the same). Left over ham or pork roast; no, make that left-over ham. In our house I don't think there's ever been left over pork roast. Heaven is a combination of Peg's homemade, low-sodium chicken broth and ham bones with onions, celery, carrots, and pieces of chicken, turkey and/or ham with white beans is delectable! 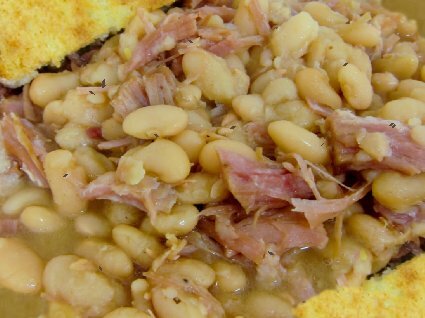 When it's served with rich, crusty bread or, my favorite, cornbread, it's a family treasure. I think we have had people over to join us for this meal, but mostly I just remember the food. This is unusual because I love dinner parties where we talk, share stories and laughter, and dine on great food. Green beans by themselves also taste great. I like my beans with a little tooth - al dente; however, I also like traditional Greek cooking where the green beans are over cooked and still wonderful. I guess I like them every which way except canned. Supposedly canned beans make the best green bean casserole, or so I'm told, but Peg has made a fresh green bean casserole with fresh tomatoes and mushrooms that is exceptional; she really likes it. My least favorite bean variety is garbanzo or chick peas. They taste waxy or mealy to me. 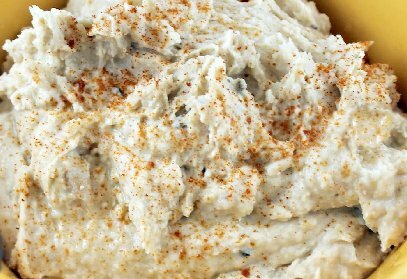 Of course, I do like a garlicky hummus, but by themselves, I can do without. Outside of Peg's cooking, my favorite bean dish was a meal we had at a freeway restaurant south of Barcelona. I was tired, I was hungry, I wanted something a little bit different. The Spanish white beans with garlic, Swiss chard and pancetta presented me with an appetizing combination of flavors and textures that was amazingly cheap, but wonderful. Beans are more than just taste, however. They also have lots of fiber and nutrients. 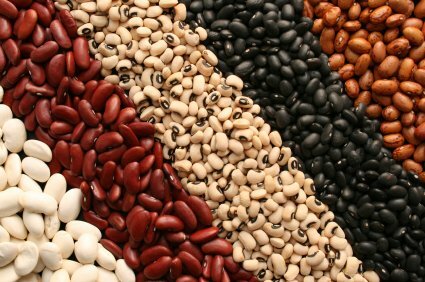 The Linus Pauling Institute at Oregon State University says, "Beans are also good sources of magnesium and potassium, which may decrease cardiovascular disease risk by helping to lower blood pressure. The low-glycemic index values of beans means that they are less likely to raise blood glucose and insulin levels, which may also decrease cardiovascular disease risk." WebMD weighs in with an ever wider claim for beans, "Chronic conditions such as cancer, diabetes, and heart disease all have something in common. Being overweight increases your chances of developing them and makes your prognosis worse if you do, says Mark Brick, PhD. This means that trimming your waistline does more for you than make your pants look better. Brick, a professor in the Department of Soil and Crop Sciences at Colorado State University, is investigating the ability of different bean varieties to prevent cancer and diabetes." Beans put up a good fight for your health and combine nutrition with taste. It's hard to argue with that combination. I don't always have to have beans with meat. Earlier I mentioned a white bean pâté. I had it originally at a Seattle Capitol Hill restaurant. The chef/owner later competed on Bravo's Top Chef. I've since recreated it at home. I copped out and used a can of white beans (well rinsed and mashed), olive oil, chicken broth, garlic, minced onions, fresh basil, and sea salt. You need to experiment with it (perhaps chili powder and smoky paprika). Try it on whole grain toast points (made from Roman Meal bread) or your favorite whole grain crackers. Beans are so easy to incorporate into salads, side dishes, and casseroles or main dishes as well. Beans for dessert? Sure, I've had red bean paste ice cream; however, that's not my favorite. I think I'd rather have baked beans incorporating molasses. Now, that smacks of dessert. The following video explains how to cook a variation of bean soup with ham hocks and kale. There's Beans and Then There's Beans, benefits of beans, nutritional benefits beans, nutritional benefits beans article, free nutrition content article, Healthy Aging Article, Healthy Living Article.